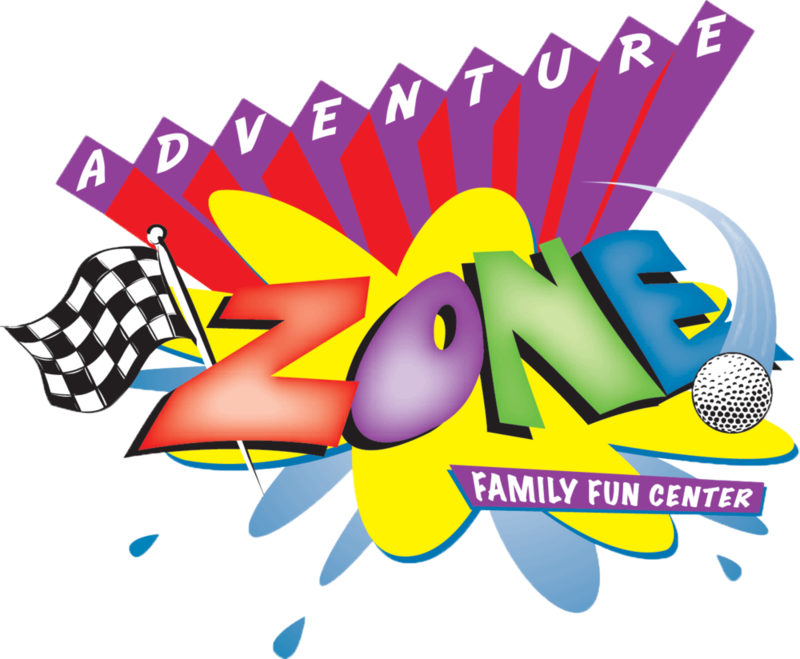 Adventure Zone's zipline is the most exciting attraction ever added to "The Zone". Duel ziplines will launch thrill seekers from a 60 foot tower (from which you ALMOST can see Canada). 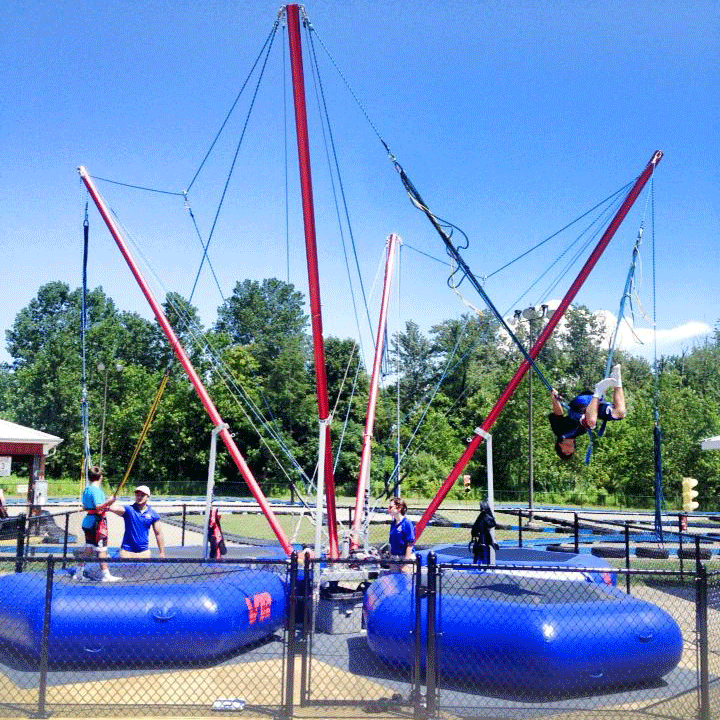 Fly for 1000 feet across the top of the park's attractions, with an exhilarating landing in the woods. Minimum 48" height, minimum rider weight 50 pounds, maximum 275 pounds. 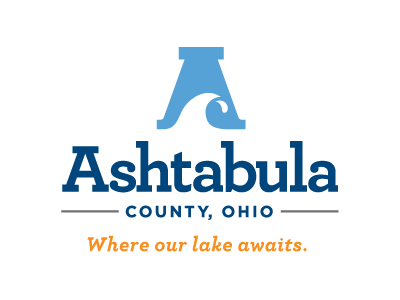 Download waiver instead of signing online. Adventure Zone's Drop is a thrill that can’t be missed - a 60 ft. leap. Minimum 48" height, minimum rider weight 50 pounds, maximum 275 pounds. Who doesn't like a miniature golf course, with undulating fairways, water hazards, and a hidden hole in the cave? This Par 51 Adventure Golf course is challenging enough for a serious duffer, yet provides lots of fun for 'kids' of all ages. And children under 58" get a specially discounted "Adventure Golf Jr." pass for the course. Riders under 58" can experience the excitement of go carting on the "Speed Zone" alongside a grown-up in our double seat Go-carts. Same great track. Drivers taking a child MUST be a minimum of 16 years of age AND have a valid license; two adults cannot ride together. Child must be 3 years old and a minimum of 45 pounds. The Rock is a classic outdoor climbing wall, providing an interesting climbing course for a single climber. With three different side-by-side routes, The Rock offers a competition climb for three adventure seekers with a race to the top. Minimum height is 44". An attraction you can't find anywhere else, bouncing vertically on the Wall gives the sensation of flying for those who can master the bounces and twists. A rappelling cable hoist the rider 24 feet into the air as you rebound against a vertically placed trampoline. The Bungy tramp allows riders to jump, twist, turn and flip in a safe and harnessed environment. as parents and grandparents look on and laugh. Minimum weight 30 pounds, maximum 220 pounds. The great Adventure Zone arcade is the biggest and best of any in the entire region. 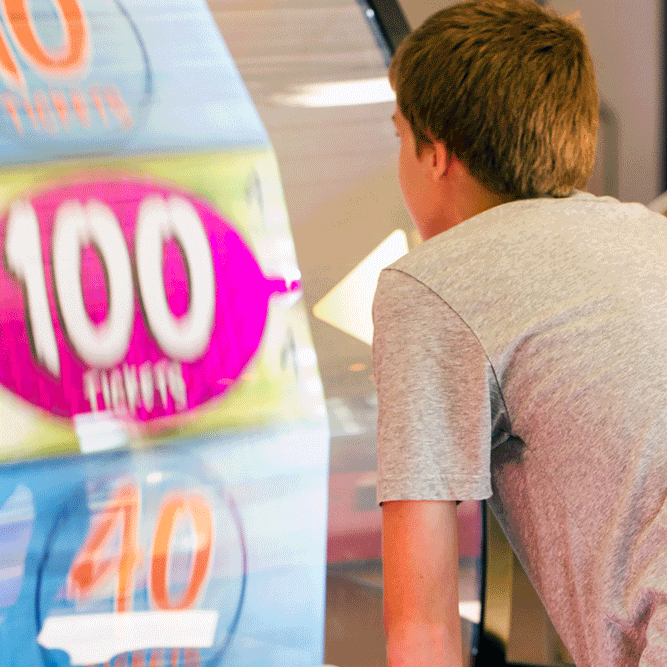 You'll find the newest games at The Zone, and our prizes offer the best value of any of our competitors. 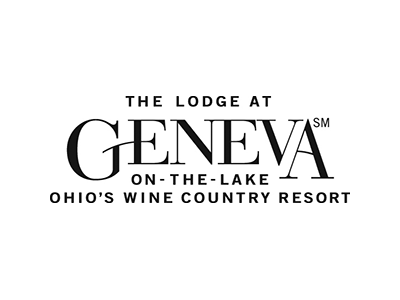 The cool, cool building provides a welcome break before and after outdoor attractions on warm summer days. Plenty of seating by "The Krawl" and at our Snack Shop to recharge. The Krawl is an 'A-Mazing' collection of tubes, slides, pits, nets and other obstacles to delight children under 58 inches tall. Located inside the air-conditioned "Adventure Arcade", children can enjoy the Kid's Krawl all day with the "Kid's Krawl" wristband . "Krawlers" must be able to walk on their own power and be out of diapers.